Our long seaweed bangle has been cast in silver from an original seaweed sculpture, and then finished in a matt silver polish. Made in Cornwall. This beautiful bangle is inspired by the unique sculptural forms of seaweed found along the rugged Cornish coastline. 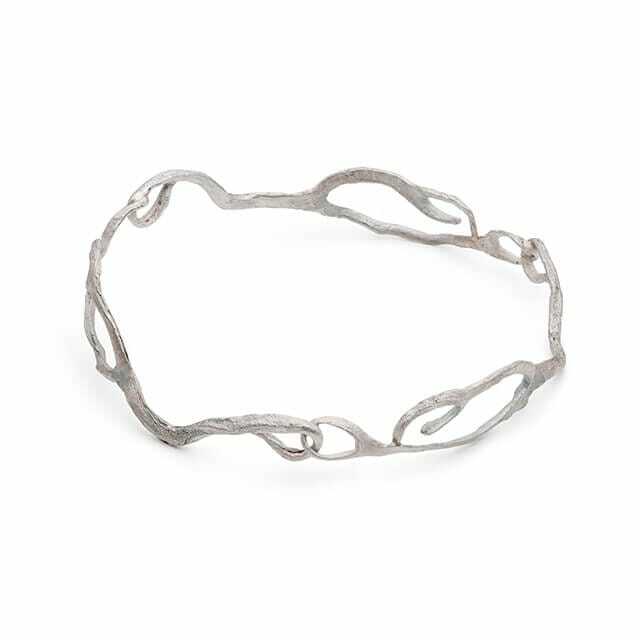 Made in Cornwall, our long seaweed bangle has been cast in silver from an original seaweed sculpture and then finished in a matt silver polish. Made in Cornwall.